Preheat oven to 325 degrees. 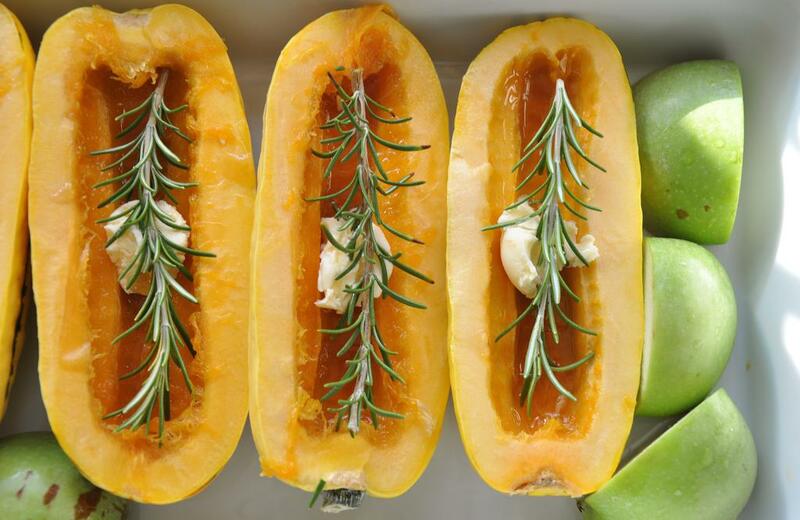 In a baking dish, lay squash halves cut side up and apple quarters. 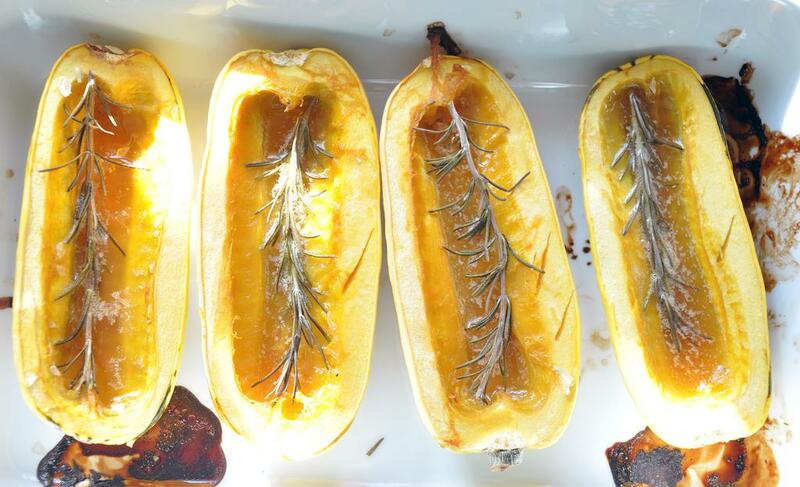 In each squash boat, put 1 tsp butter, 1 tsp maple syrup and half a rosemary sprig. Roast for 30 minutes, remove apple to cool, and then chop coarsely. Raise heat to 375 degree and roast squash 30 minutes more. Remove from oven and let squash cool slightly. Meanwhile in a medium pot, heat EVOO over medium heat. Add leeks and cook 5 minutes until softened. 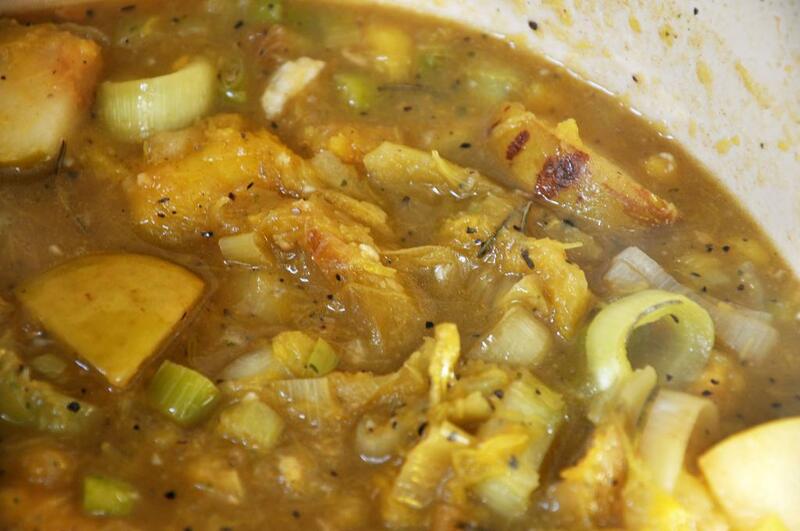 Reduce heat to low and add chopped, cooked apple, garlic, SnP, bay leaf, and cinnamon. 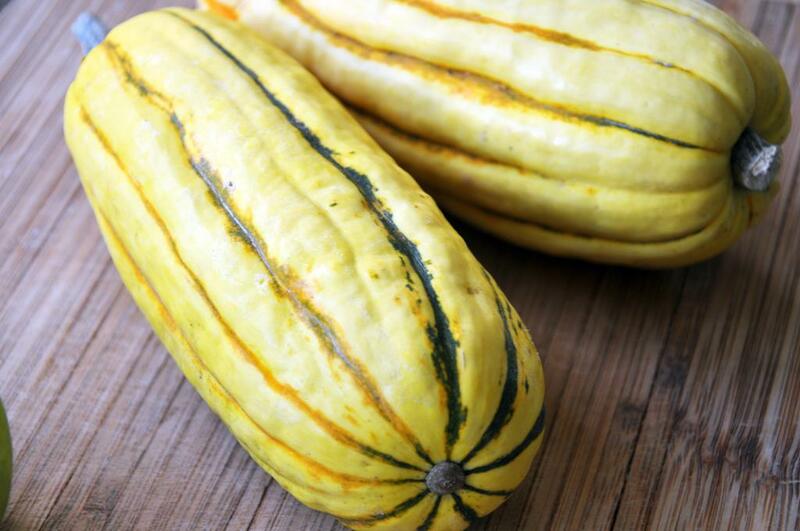 When squash is cool enough to handle, pour butter-syrup mixture into soup along with rosemary sprigs. Then carefully scoop out the squash flesh leaving the rind in tact. Add flesh to soup pot with stock and bring to a boil. Remove from heat, remove bay leaf and rosemary sprigs. Puree with hand blender or in a food processor or blender. 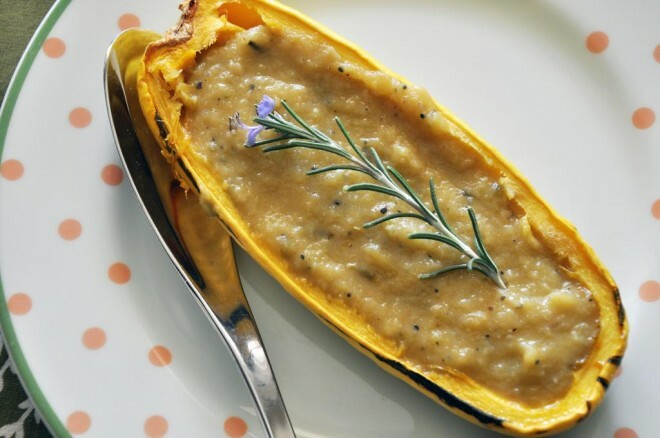 Ladle soup into squash boats, and serve hot. this is delicious! I added a little bit of nutmeg which worked well. your picture looks like you soup is thicker though…regardless it was a great recipe thanks!